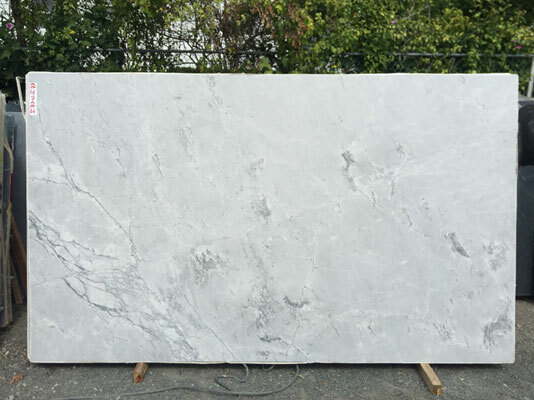 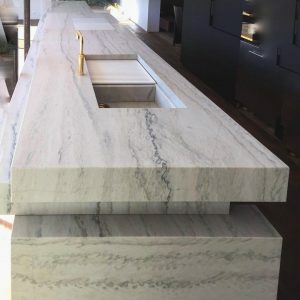 As for price, quartz and quartzite are in the same higher-end category of countertop materials but due to the extreme hardness of quartzite, the labor cost adds considerable additional expense to the final installed price. 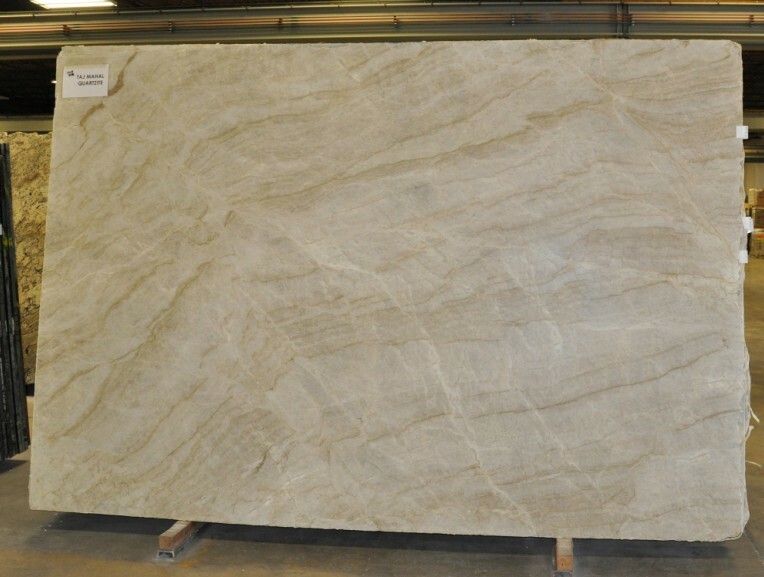 Like all natural stones, each slab of quartzite has unique veining with various shades of dark and light grey. 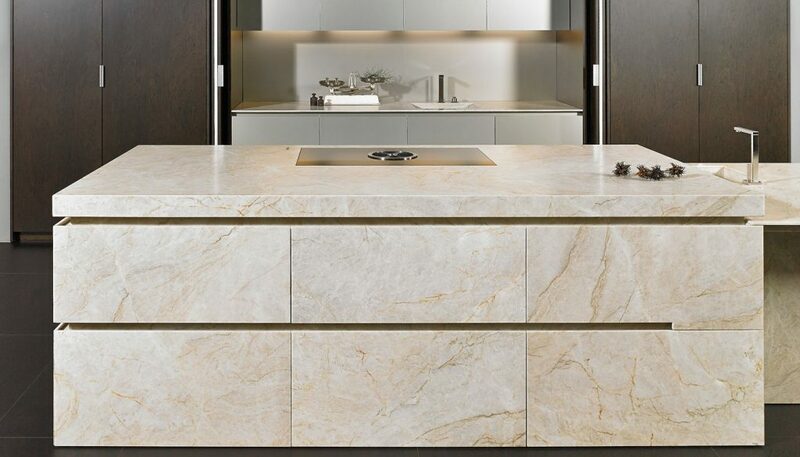 The crystalized appearance of quartzite is simply beautiful making it a standout feature in any kitchen.